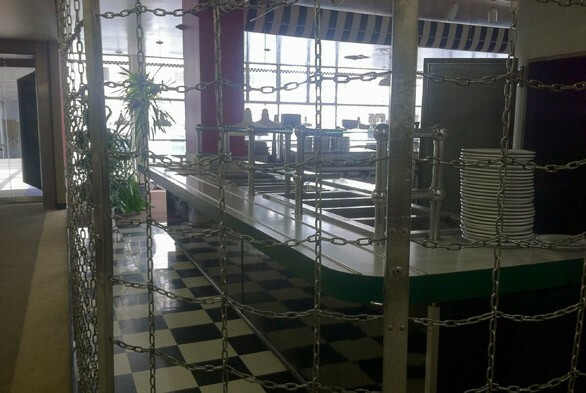 There’s one less lunch option in the skywalk this week. Last Thursday, on Feb. 28, the Metro Cafe served its final lunch specials: lasagna, toasted reuben sandwiches and Chicago sandwiches. The following day the owners starting selling the pieces that make up a restaurant, from the tables and appliances to the potted plants. 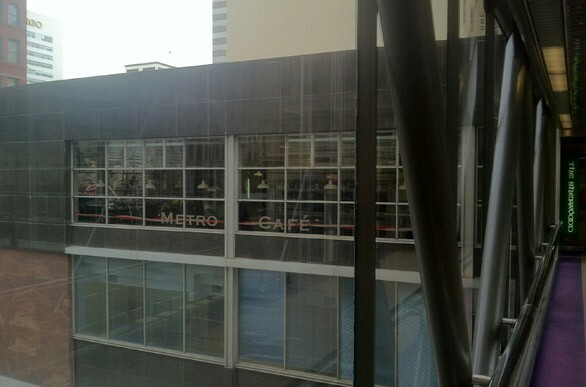 Earlier this year, staff writer Joe O’Sullivan stopped by the Metro Cafe on his tour of the skywalk culinary options. The Spokesman-Review is reporting that the space will be used by an architecture firm. Chances are they will not serve lunch.